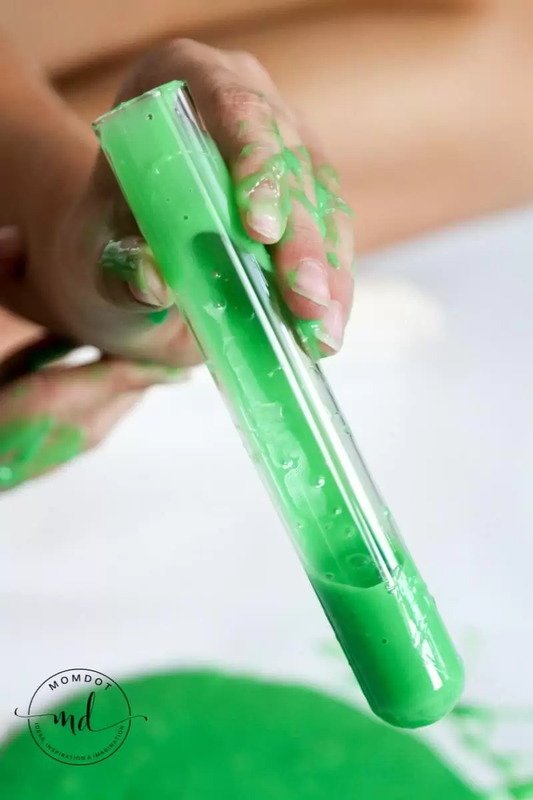 Mad Scientist Halloween Slime Tutorial is a fun way to still enjoy slime into the fall months! 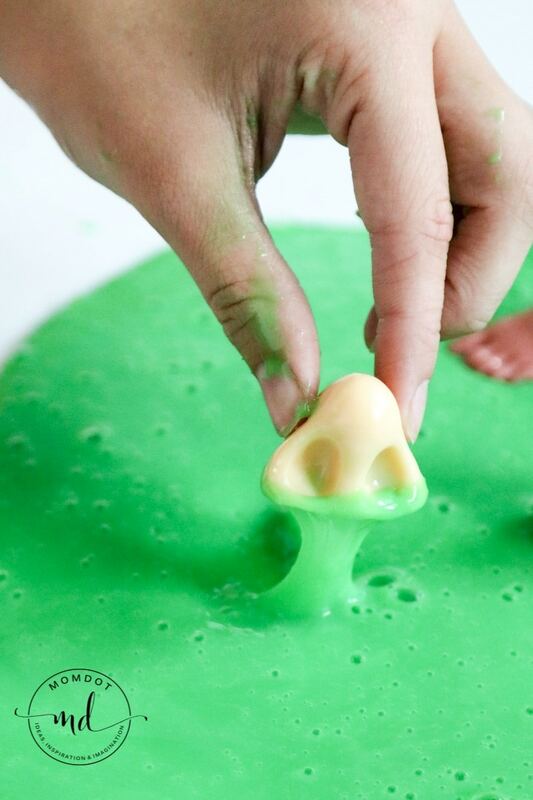 Learn below how to make Halloween slime that will inspire you to play, learn, and enjoy! Summer may be over but slime should not be! 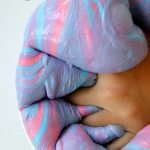 Halloween time is the PERFECT time to learn how to make slime and get your gooey perfection on. 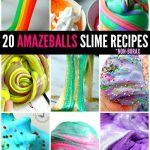 Easily made into snot slime, zombie slime, pink sludge, brain slime or even icky roach slime, you cannot go wrong when you break out the slime for spooky fall fun. Of course I love all things gross and if you need another WOAH EWWW idea, you must must check out this Kitty Litter Cake. It tops even this slime! 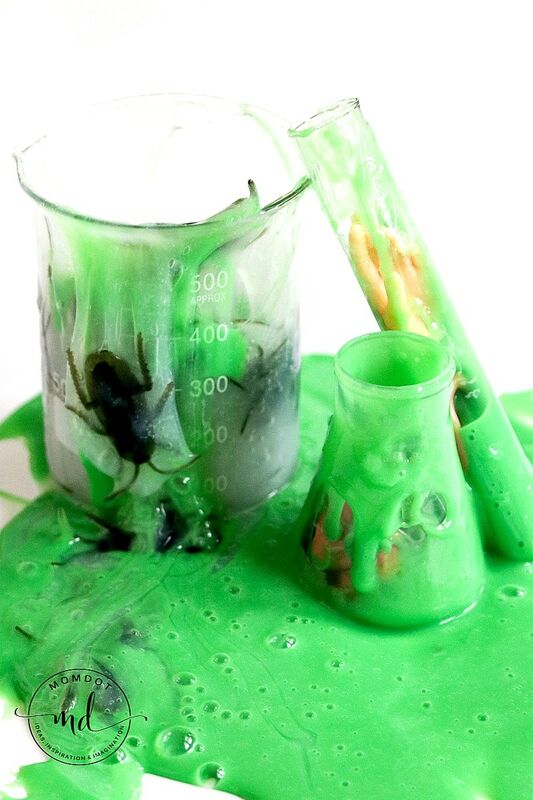 To inspire you to get creative, we have taken some of our favorite green goop for a Mad Scientist play! 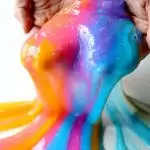 No matter whether you leave your slime extra ectoplasm sticky to really up the fun, learning how to make saline solution slime, or going for a more traditional fluffy slime recipe, add mini body parts like a nose and ears and beakers! You can use this idea for sensory projects or a Mad Scientist theme. Here are two kinds of slimes below to enjoy your your Mad Scientist Play area! – This slime is super sticky!! Now add your food dye. If you do not have food dye, you can typically use a bit of green paint. Stir until dye is combined. Now add saline solution – start with approx 1 tablespoon and stir. The ectoplasm will start to form. You can adjust the amount of saline solution you add to make it more or less sticky. We were pretty happy with our dripping slime. 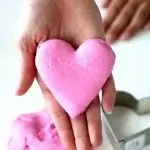 TIP WHEN MAKING SLIME: If you want it to stick a bit less, combine approx 1/2tsp of baking soda and a tablespoon of saline into a bowl and mix. Once combined, pour into your glue and mix- this will thicken up the slime. The only downside of baking soda is that its white and can take out some of the coloring of your slime, in which cause you may have to adjust. 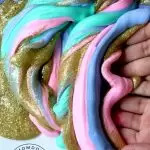 Reading this article on how to make saline solution slime may help or this one on how to make clear unicorn poop slime. Now lets make it! 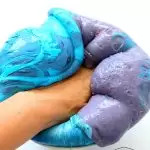 Fluffy slime is actually (in my opinion) the easiest slime you can make. Because of the shaving cream, its almost a no fail. The first thing you need to do is start with glue. Pour approx 2 cups of glue into a bowl. You do not need to measure this…just wing it. 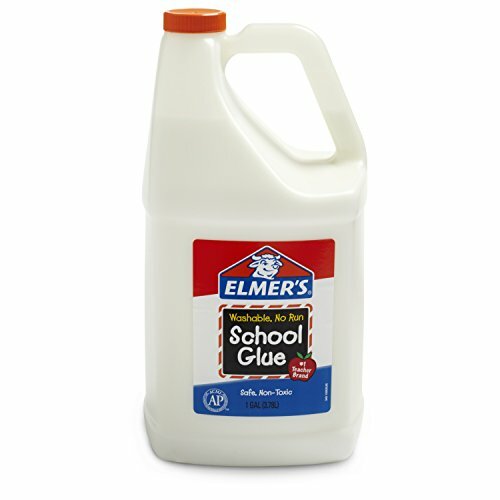 To get going, you need to start with glue. Pour approx 2 cups of glue into a bowl. You do not need to measure this…just wing it. As much glue as you pour is about as much slime as you will get returned. IF you want a lot of slime like in this recipe, I suggest you make a few small batches and then combine versus over pouring. You will have mixing problems otherwise. 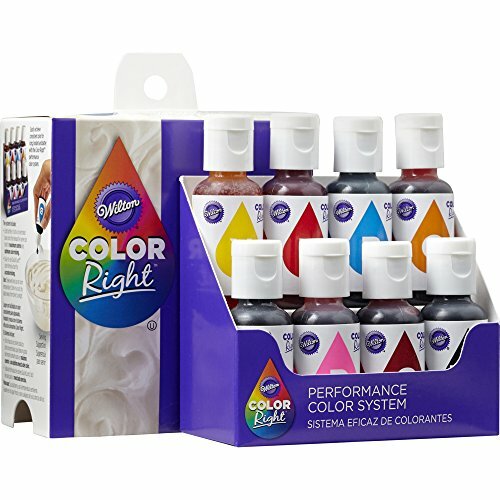 Add a few drops of your coloring and stir. You can make this any color you want so feel free to get creative. 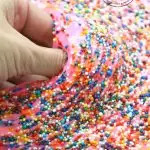 To make the slime as shown in this article, you will need 3-4 separate batches of colored slime to mix. 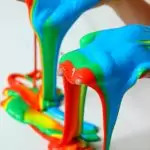 Once your slime is colored, its time to add the liquid starch. 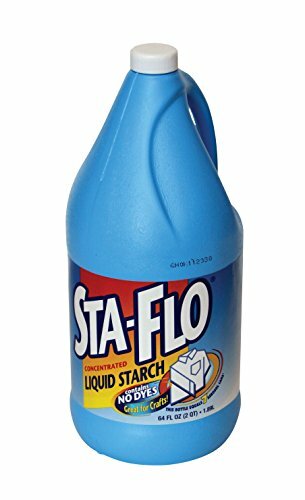 Spray starch is not the same thing, please use liquid. Pour in approx 2-3 tablespoons full of starch and stir. The glue will start to form immediately. Stir for a few minutes to get it all mixed up and then take out the goop and begin kneading between your hands, passing back and forth. Here is the tip: If the slime is sticking to your fingers, it doesn’t have enough starch. 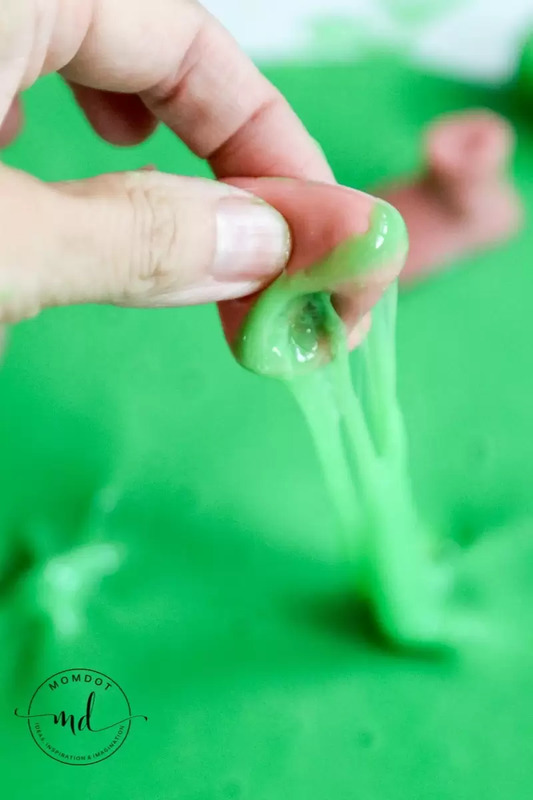 Either dip your slime back into the bowl and mix more starch (if there is some left in there) or pour a little bit more into the glue mixture little by little till it starts unsticking. The entire process can take about 5 minutes. Its easier to add more starch than add more glue, so its better to start with less starch and add. 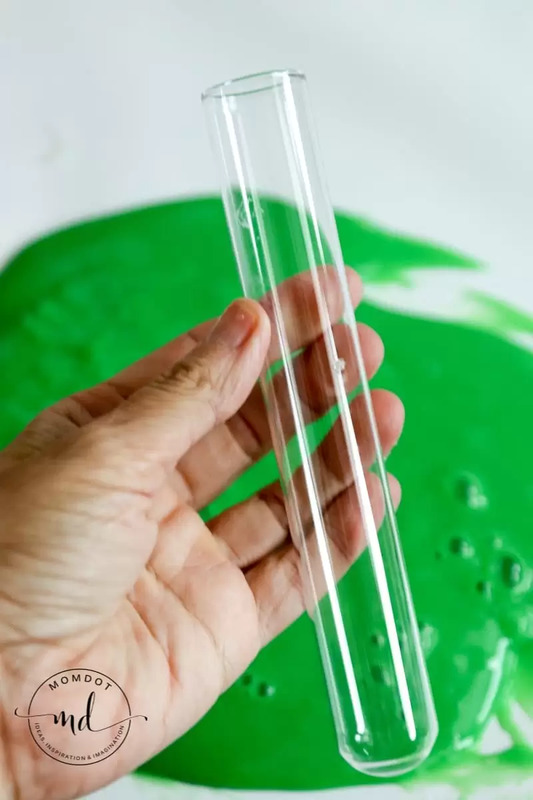 The reason there are no hard measurements is because most people make varying sizes of slime batches, so you will need to find the exact ratio.